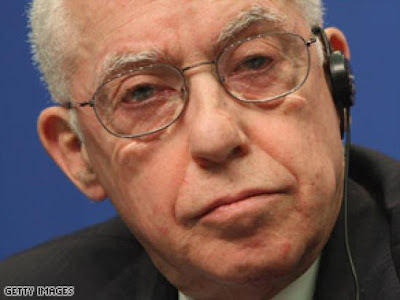 March 21 (Bloomberg) -- The U.S. Justice Department is conducting a broad review of the subprime lending crisis to see if there is a ``larger criminal story'' to the mortgage meltdown, Attorney General Michael Mukasey said. Mukasey said the agency hasn't decided if the turmoil merits a response similar to the Bush administration's corporate fraud crackdown that began in 2002 after the collapse of Enron Corp. Still, he told reporters in Washington today, the department's criminal division is now weighing how to address the issue. The FBI, the Justice Department's investigative arm, announced earlier this year it was investigating 14 corporations for possible accounting fraud related to the mortgage rout; the number now is almost 20. The collapse in the credit markets has forced people from their homes, shaken Wall Street and become a major issue in Congress and the presidential campaign. Fallout from bad mortgages has toppled at least half a dozen hedge funds and led to the departures of chief executive officers at Citigroup Inc., Merrill Lynch & Co. and UBS AG. More than 100 mortgage companies have suspended operations, closed or sold themselves since the start of 2007. Subprime loans are typically made to borrowers with the weakest credit. Today, Mukasey said the facts about crisis ``are still coming in'' and he warned that potential cases would be complex and take longer to investigate and prosecute than most criminal matters. Also, Mukasey urged Congress to pass a law extending U.S. authority to conduct surveillance of suspected terrorists. A temporary measure expired in February. Mukasey and other administration officials say the lapse endangers the country's security. ``We need to stay engaged here because the stakes are tremendous,'' Mukasey said.